Bush Aircraft and More . . . .
Maule Air, Inc. is a manufacturer of light, single- engined, short take-off and landing (STOL) aircraft, based in Moultrie, Georgia, USA. The company delivered 2,500 aircraft in its first 50 years of business. The airplanes produced by Maule Air are tube-and-fabric designs and are popular with bush pilots, thanks to their very low stall speed, their tundra tires and oleo strut landing gear. Most Maules are built with tailwheel or amphibious configurations, although the newer MXT models have tricycle gear. AERONUVO, a member of the National Aircraft Appraisers Association (NAAA) has access to important data for many Maule aircraft models. This critical repositiory of information, assists in the creation of Maule aircraft appraisal reports. 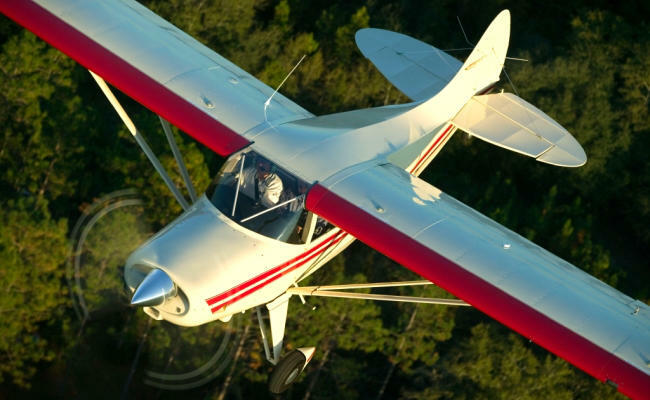 a AERONUVO, a member of the National Aircraft Appraisers Association (NAAA) has access to important data to perform and deliver an aircraft appraisal for many Maule aircraft models. Objective, accurate and unbiased as always. Maule EM-7-235 Orion, Maule EM-7-260 Super Rocket, Maule EMT-7-235 Super Rocket, Maule EMT-7- 260 Super Rocket, Maule EMX-7-160 Sportplane, Maule EMX-7-180 Millenium, Maule EMX-7-235 Star Rocket, Maule M4, Maule M-4, Maule M-4-180V, Maule M4-210, Maule M-4-210, Maule M4-220, Maule M5, Maule M-5, Maule M-5-180C Lunar Rocket, Maule M-5-200C, Maule M-5-210, Maule M-5-210C, Maule M-5-210TC, Maule M-5-220, Maule M-5-235C, Maule M6, Maule M-6, Maule M-6-235, Maule M7, Maule M-7, Maule M-7-235, Maule M-7-235 Super Rocket, Maule M-7-235B, Maule M-7-235C, Maule M- 7-235C Orion, Maule M-7-260, Maule M-7-260 Orion, Maule M-7-260C, Maule M9, Maule M-9, Maule MT-7, Maule MT-7-235, Maule MT-7-260, Maule MX7, Maule MX-7-160, Maule MX-7-180, Maule MX-7- 180 Sportplane, Maule MX-7-180 Star Rocket, Maule MX-7-180A, Maule MX-7-180AC, Maule MX-7- 180B, Maule MX-7-180B Amphibian Floatplane, Maule MX-7-180C, Maule MX-7-180C Millennium, Maule MX-7-235, Maule MX-8, Maule MX-9, Maule MXT7, Maule MXT-7, Maule MXT-7-160 Comet, Maule MXT-7-180, Maule MXT-7-180 Comet, Maule MXT-7-180 Star Craft, Maule MXT-7-180 Star Rocket, Maule MXT-7-180A, Maule MXT-7-180A Comet, Maule Starcraft Turboprop AERONUVO can deliver a professional opinion and appraisal report of the present fair market value (FMV) price on an aircraft, the value on an aircraft to be renovated or modified and the value of an aircraft as a prudent safeguard against excessive tax assessments, capital gains and other taxes. Our Premier and Certified Aircraft Appraisal Services include Aeronca, Aero Commander, American Champion (ACA), American General, Aviat Husky and Pitts, Beechcraft (Beech), Bellanca, Citabria, Cessna, Cirrus, CubCrafters (Cub Crafters), DAHER SOCATA, Diamond, Ercoupe, Glasair, Great Lakes, Grumman American, Lancair, Luscombe, Maule, Mooney, Piper, Rockwell Commander, Stinson and More. AERONUVO, The Aircraft Appraisal and Valuation Company is not affiliated with the Maule Air Aircraft Company. Most general aviation aircraft require an annual inspection pursuant to 14 CFR part 91, section 91.409. Excluded aircraft: • Use an approved progressive inspection plan; • Carry a special flight permit; or • Carry a provisional airworthiness certificate. The annual inspection must be completed and approved by a mechanic with an inspection authorization (IA) once every 12 calendar months. For example, if the aircraft’s annual is endorsed on June 16, 2008, the next annual inspection is due before July 1, 2009; otherwise the aircraft may not be flown without authorization (e.g., a special flight or “ferry” permit). A ferry permit is required to fly an aircraft that is out of annual, such as in the case of flying to another airport for the inspection. You can contact your local Flight Standards District Office (FSDO) for instructions on applying for a special flight or ferry permit. Maule Air, Inc. is a manufacturer of light, single- engined, short take-off and landing (STOL) aircraft, based in Moultrie, Georgia, USA. The company delivered 2,500 aircraft in its first 50 years of business. The airplanes produced by Maule Air are tube-and- fabric designs and are popular with bush pilots, thanks to their very low stall speed, their tundra tires and oleo strut landing gear. Most Maules are built with tailwheel or amphibious configurations, although the newer MXT models have tricycle gear. AERONUVO, a member of the National Aircraft Appraisers Association (NAAA) has access to important data for many Maule aircraft models. This critical repositiory of information, assists in the creation of Maule aircraft appraisal reports. a AERONUVO, a member of the National Aircraft Appraisers Association (NAAA) has access to important data to perform and deliver an aircraft appraisal for many Maule aircraft models. Objective, accurate and unbiased as always. Maule EM-7-235 Orion, Maule EM-7-260 Super Rocket, Maule EMT-7-235 Super Rocket, Maule EMT-7-260 Super Rocket, Maule EMX-7-160 Sportplane, Maule EMX-7-180 Millenium, Maule EMX-7-235 Star Rocket, Maule M4, Maule M-4, Maule M-4-180V, Maule M4-210, Maule M-4-210, Maule M4-220, Maule M5, Maule M-5, Maule M-5- 180C Lunar Rocket, Maule M-5-200C, Maule M-5- 210, Maule M-5-210C, Maule M-5-210TC, Maule M- 5-220, Maule M-5-235C, Maule M6, Maule M-6, Maule M-6-235, Maule M7, Maule M-7, Maule M-7- 235, Maule M-7-235 Super Rocket, Maule M-7- 235B, Maule M-7-235C, Maule M-7-235C Orion, Maule M-7-260, Maule M-7-260 Orion, Maule M-7- 260C, Maule M9, Maule M-9, Maule MT-7, Maule MT-7-235, Maule MT-7-260, Maule MX7, Maule MX- 7-160, Maule MX-7-180, Maule MX-7-180 Sportplane, Maule MX-7-180 Star Rocket, Maule MX-7-180A, Maule MX-7-180AC, Maule MX-7-180B, Maule MX-7-180B Amphibian Floatplane, Maule MX-7-180C, Maule MX-7-180C Millennium, Maule MX-7-235, Maule MX-8, Maule MX-9, Maule MXT7, Maule MXT-7, Maule MXT-7-160 Comet, Maule MXT-7-180, Maule MXT-7-180 Comet, Maule MXT-7- 180 Star Craft, Maule MXT-7-180 Star Rocket, Maule MXT-7-180A, Maule MXT-7-180A Comet, Maule Starcraft Turboprop AERONUVO can deliver a professional opinion and appraisal report of the present fair market value (FMV) price on an aircraft, the value on an aircraft to be renovated or modified and the value of an aircraft as a prudent safeguard against excessive tax assessments, capital gains and other taxes. Our Premier and Certified Aircraft Appraisal Services include Aeronca, Aero Commander, American Champion (ACA), American General, Aviat Husky and Pitts, Beechcraft (Beech), Bellanca, Citabria, Cessna, Cirrus, CubCrafters (Cub Crafters), DAHER SOCATA, Diamond, Ercoupe, Glasair, Great Lakes, Grumman American, Lancair, Luscombe, Maule, Mooney, Piper, Rockwell Commander, Stinson and More. 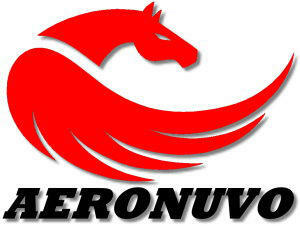 AERONUVO, The Aircraft Appraisal and Valuation Company is not affiliated with the Maule Air Aircraft Company.